I don’t know about you, but in San Francisco, the sun is starting to shine warmer and brighter, and I’m getting really excited to plan my spring and summer trips! I already know where I’m going… Disneyland!!!! I firmly believe that Disneyland is for everyone. Even if you’re so-called “not a fan of Disney,” you can still appreciate the detail and thought that’s put into the park’s design and operations. I’m *definitely* a huge fan of Disneyland, and I’ve been at least 100 times (and I haven’t gotten sick of it!). As a Disneyland expert, I also have to dress the part, and I have lots of Disney apparel that - trust me - is really, really cute. 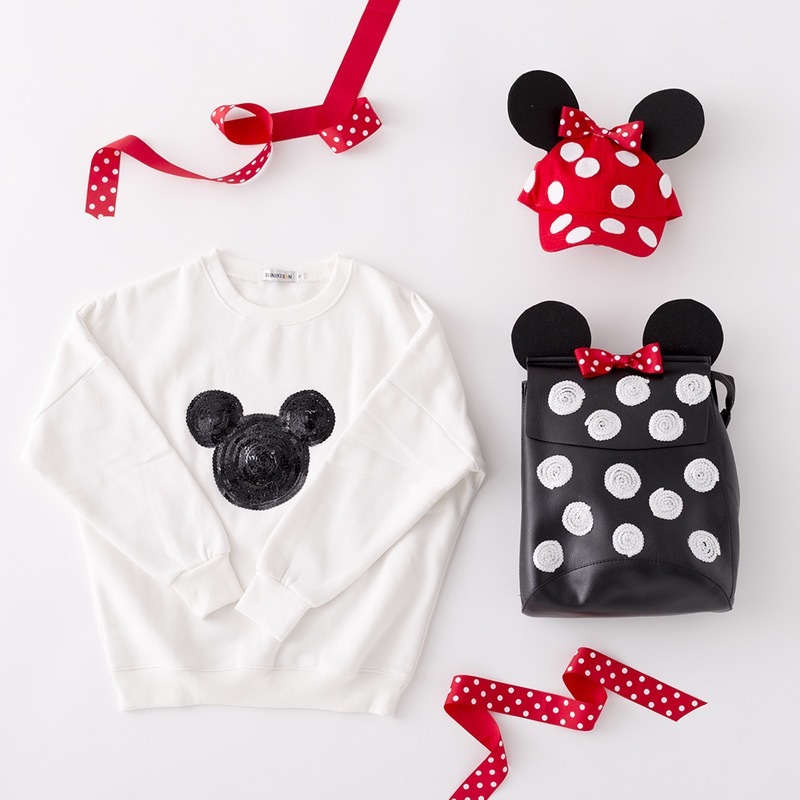 Unfortunately, Disneyland merchandise is not cheap, and for me to have multiple Disney pieces, I decided to get creative and DIY my own bags, shirts, and mouse ears. Today, I’m showing you how to do it all. Read on! 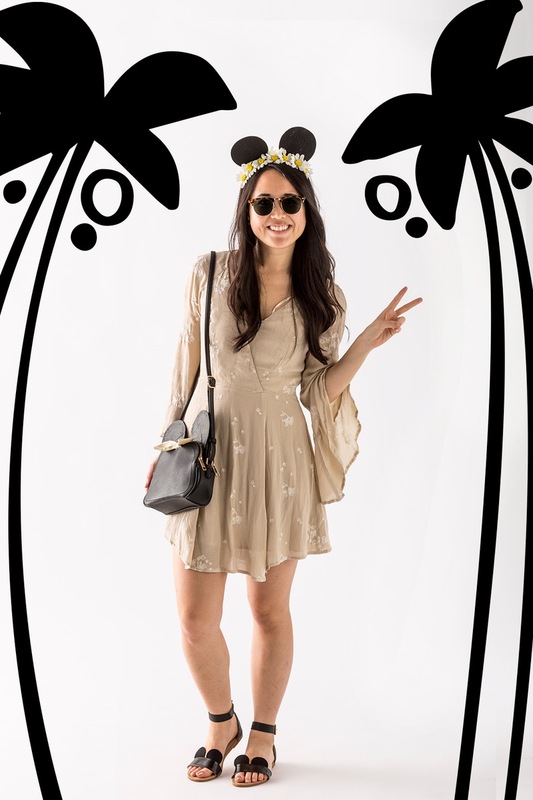 When at Disneyland, you can still channel your inner flower child while staying true to the Disney theme. 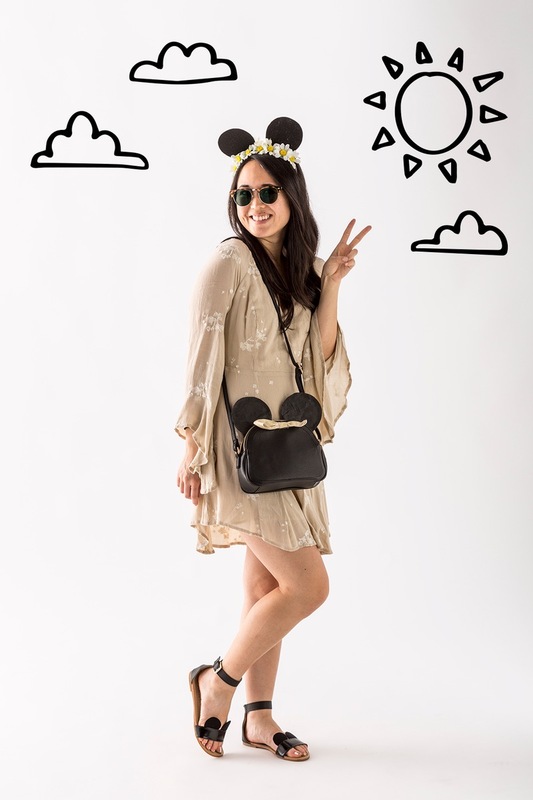 We assembled our outfit with flower crown Minnie ears, a Minnie crossbody bag, and mouse ear sandals. Use the glass to trace two circles on the black felt. Draw rectangular “tabs” on the circles and cut out. Glue the tabs on a black headband. 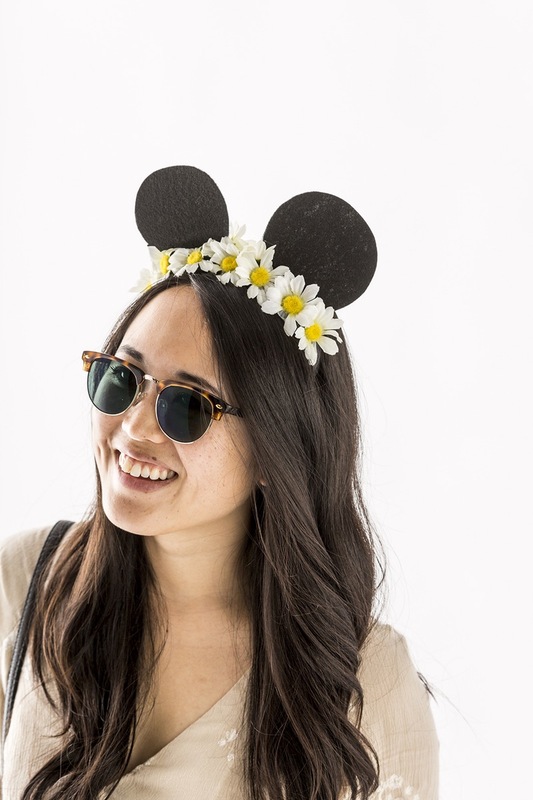 Glue flowers around the headband. You’re done! 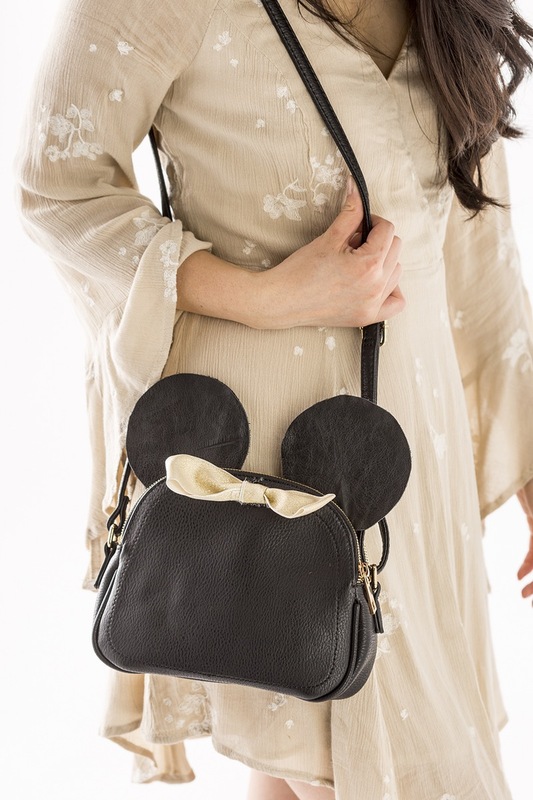 This super cute bag is actually a Kate Spade x Disney copycat! It’s not in stock anymore, but it was priced in the $200-300 range, so all the more reason to DIY your own. I bought this Alyssa Double Zip Half Moon Crossbody Bag Black ($22) from Amazon and cut ears out of stiff black felt and faux leather by tracing the rim of a glass. I hot glued the felt and the leather together to make two firm ears. Then I used leather glue to glue the ears in the middle of the bag. I stitched a couple of hand stitches too, to make sure they were extra secure. Then, I made a bow out of gold ribbon and glued it to the front of the bag. This one is super easy! I bought these Sandalup Gladiator Sandals ($9) from Amazon and glued soft felt circles to the backs of the straps. That’s it! You may not have met Minnie’s alter-ego, Minnie from the Block. Using fabric glue, attach black sequin ribbon on your sweatshirt in a circle formation, stopping when you feel like the head is as large as you want it to be. Then, glue sequin ribbon in circles on the right and left tops of the circle to make ears. 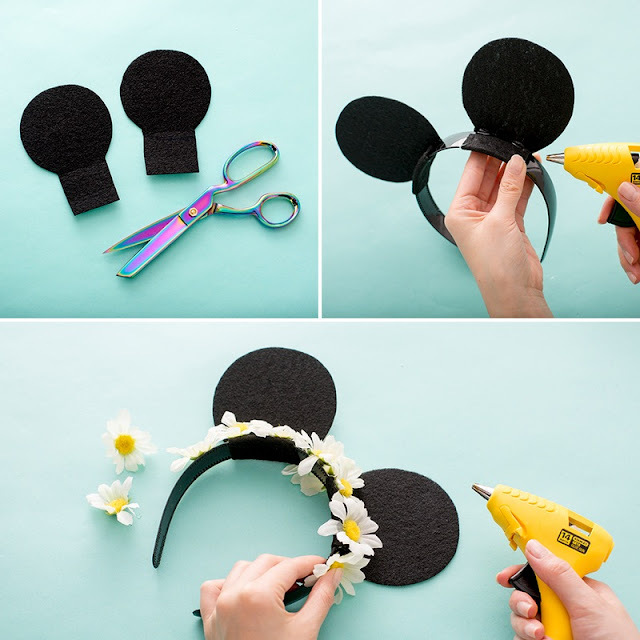 Sew on a bow, if you want to make a Minnie Mouse, or leave it as-is if you want a Mickey. 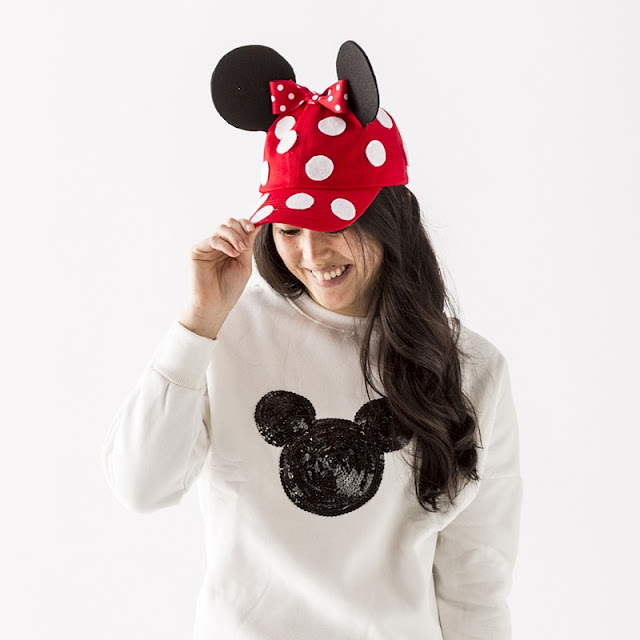 This polka-dot trucker hat is also a Disneyland Parks Official Snapback Cap ($33) copycat. I love it, and with a price around $30, it’s not a huge splurge, but if I’m also buying a corn dog and ice cream that day (which, let’s be real: I am), my spendings definitely add up! 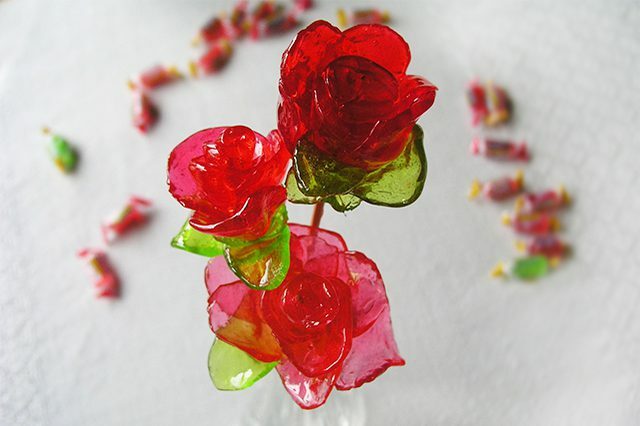 This DIY copycat is really easy, so you have no excuse to not to do it. Trace two circles on stiff black felt, and draw tabs on each one of them. Cut them out. Cut two slits the size of your tabs into a Dalix Red Cotton Cap ($6) and stick an ear in each slit. Glue the tabs on the inside of the hat. Use the inside of a washi tape roll to trace circles on white felt and cut them out. 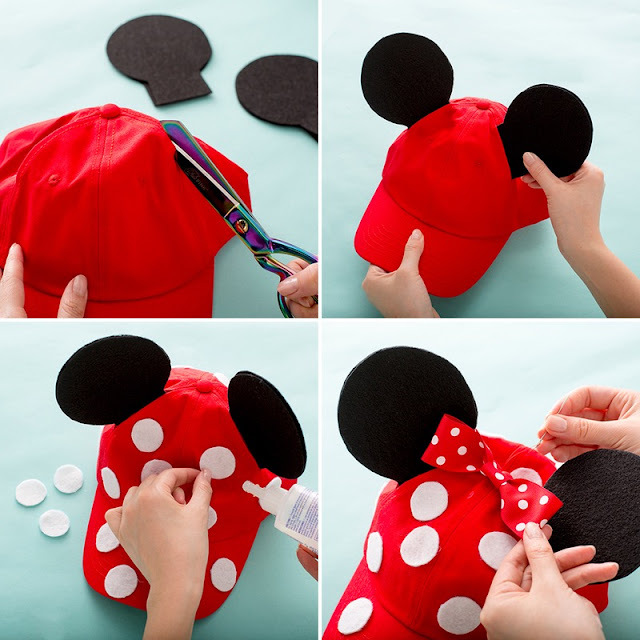 Use fabric glue to glue them all over a red hat. Sew an Offray Polka Dot Ribbon ($3) bow on top. Ready for another Disneyland merch copycat? 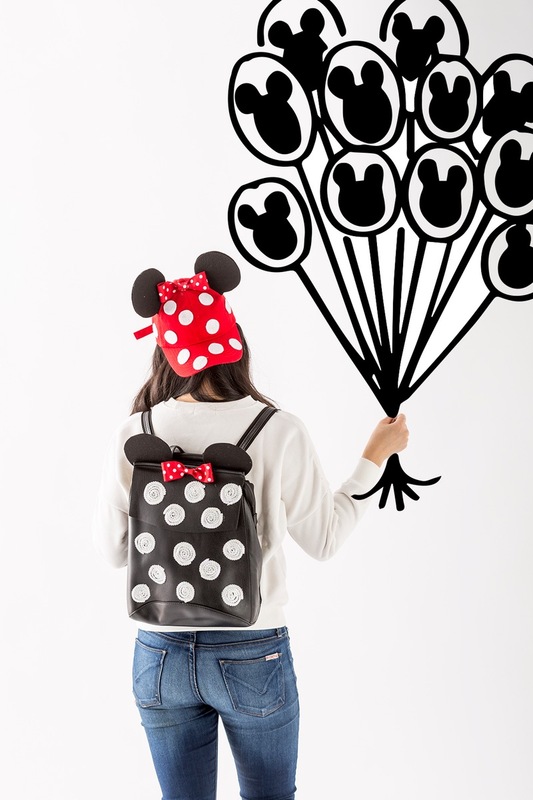 It’s this backpack! Gosh, I love this backpack. 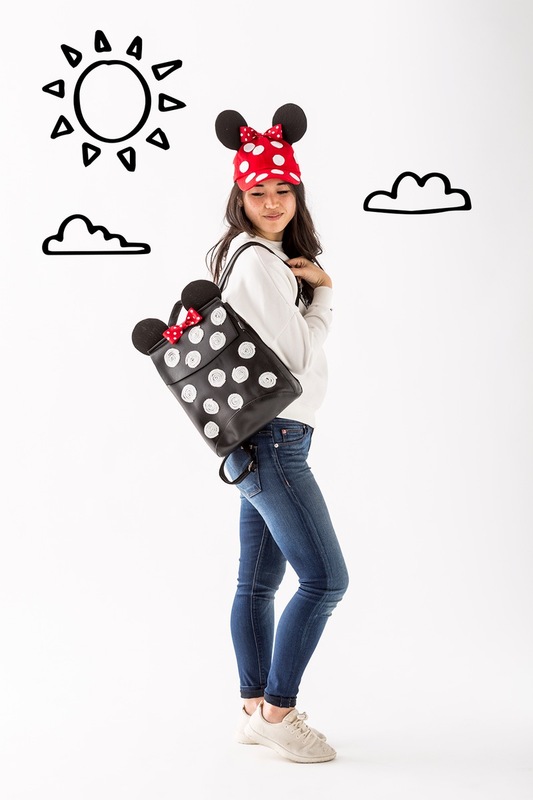 This DIY is a copycat of this Disney Parks Minnie Mouse Sequin Backpack, which is $70. No thanks! It’s way cheaper to do this easy DIY. 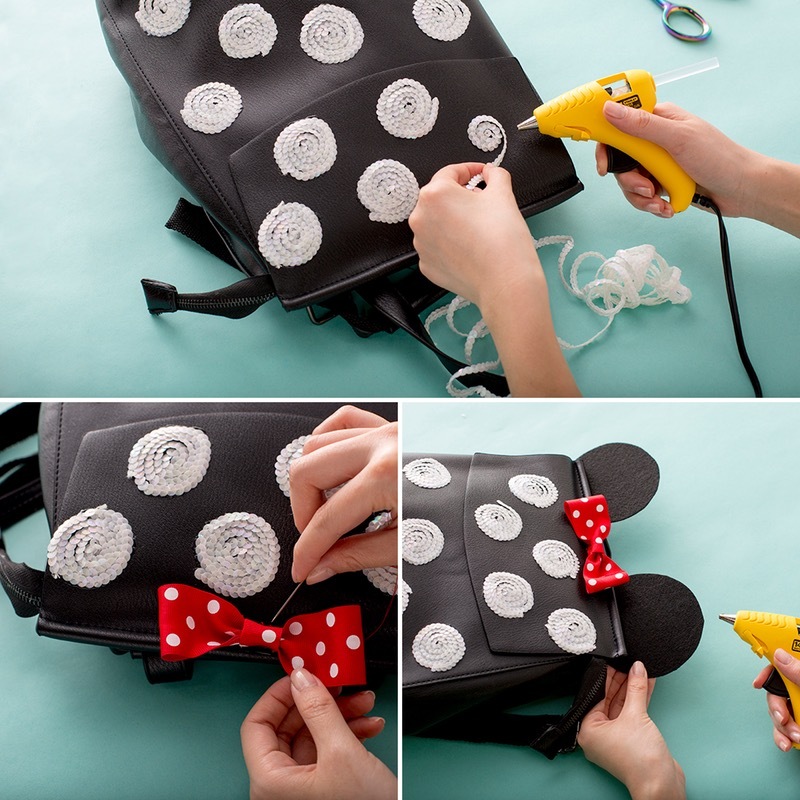 With hot glue, attach white sequin ribbon in circle formations all over a Z-joyee Backpack ($27). 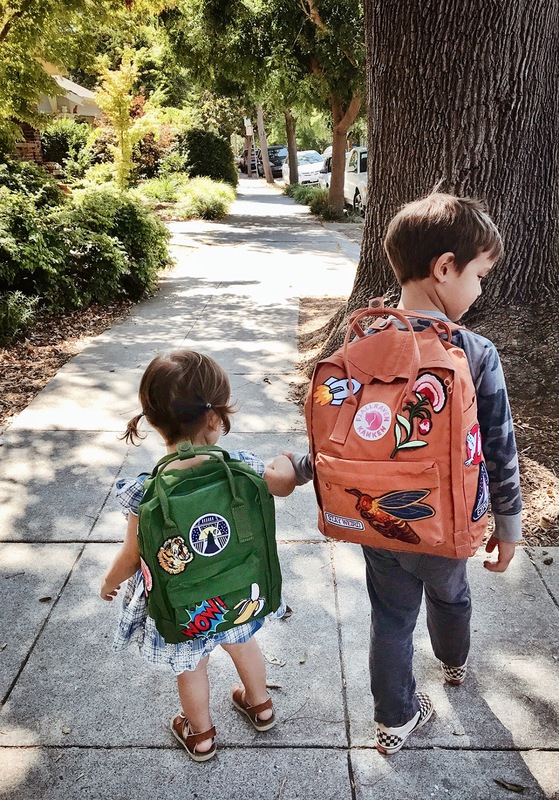 Then sew or glue a red and white polka dot ribbon to the top middle of the backpack flap. Cut two circles out of stiff black felt and glue or stitch onto the back of the backpack. You’re done! 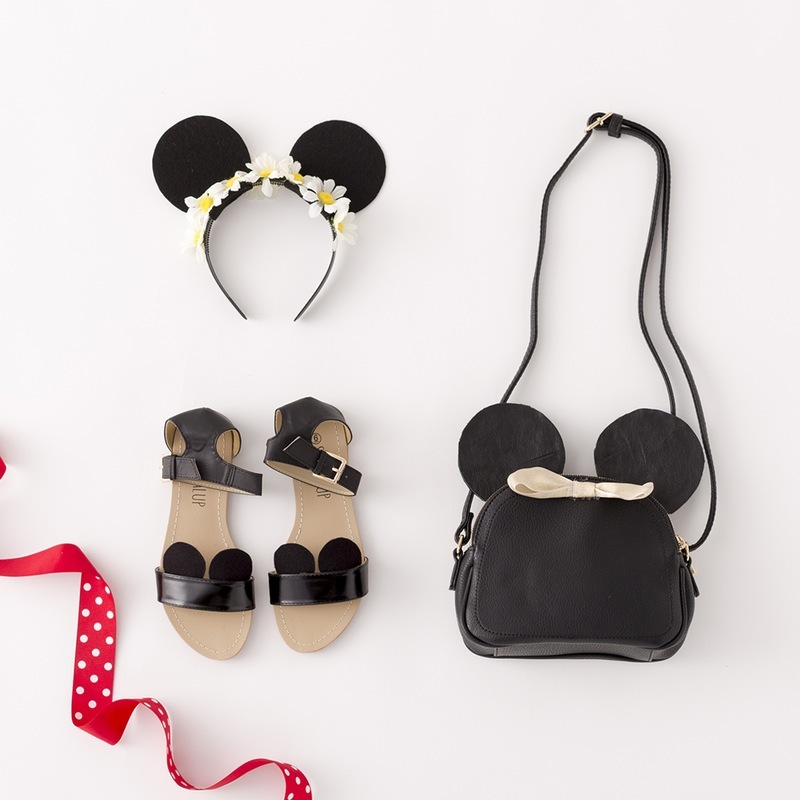 Rockin’ that street style, Minnie!